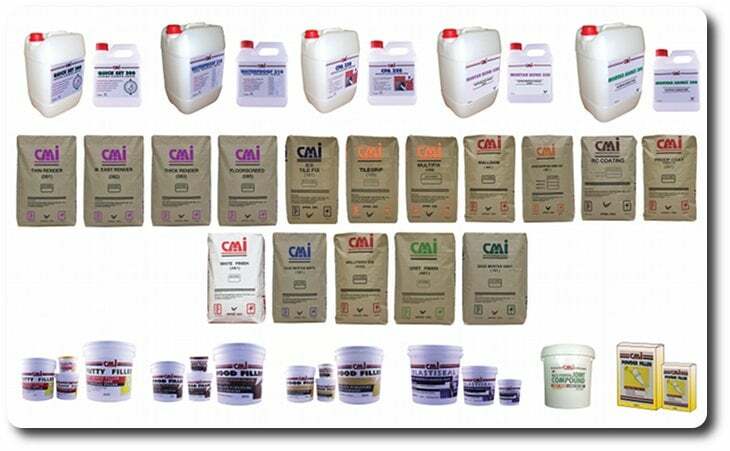 Building Material Manufacturer & Wholesaler | CMI Marketing Sdn. Bhd. CMI-Construction Material Industry Sdn. Bhd. was founded in 1997 and have since established itself as a reputable manufacturer and distributor of cementitious dry – mixed prepacked additives, skim coat, plasters, mortars and adhesives. 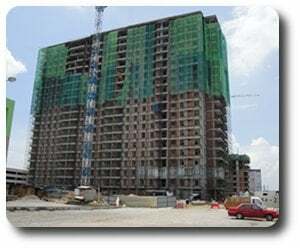 Despite the ‘soft’ market conditions in the construction industry since it’s incorporation, the company’s business operations has continued to grow and expanded considerably due to innovations in the construction sector which, indirectly created a higher market demand for it’s range of products. Due to the accelerated growth, CMI-Construction Material Industry Sdn. Bhd. has diversified into manufacturing related construction & building products such as construction chemicals and D.I.Y items (Do-It-Yourself). 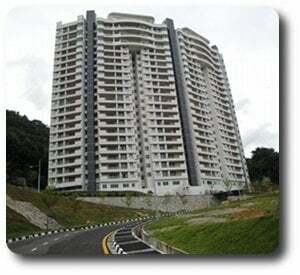 Apart from the Malaysian market, the company has already exported to countries like Brunei, Sri Lanka, Singapore, Myanmar, Papua New Guinea & Hong Kong. Contacts have already been established in countries like Thailand, Indonesia & India for negotiations to commence for shipment of CMI products. We recognize the need to innovate and upgrade on our existing products & facilities to enable us to effect cost saving measures & stringent quality control is adhered to and continuously keep ahead of our customer’s expectations with it’s assurance on quality at the most competitive price. Our on going R & D approach is to involve professionals from various disciplines to promote a valuable exchange of diverse view points & creative ideas to achieve the specific results desired by our customers. Development work is therefore conducted & closely coordinated in the field as well as in the laboratory.